For decades our PP-coated combination ropes are used for trawl fishing all over the world. These ropes also are known as "Taifun Ropes". 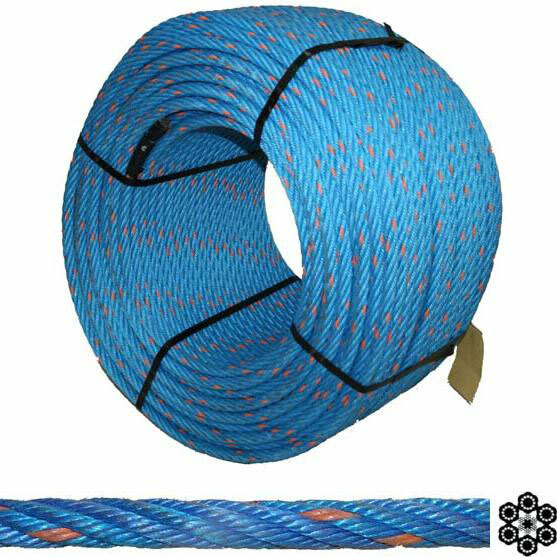 The production of combination rope with steel core requires skill and long experience. The relation between outer strands and centre core has to be balanced so that the load is distributed to all wires evenly. The quality is being controlled according to ISO 9001.